Making More Plants From Cuttings – How to make more plants from plant cuttings. Gardening Know How: Starting Plant Cuttings – How To Root Cuttings From Plants – Types of cutting and how to root them. The Balance: Best Plant To Grow From Cuttings – 19 Plants that can start from cuttings. WikiHow: Plant Propagation: Offers steps to propagate plants. Includes pictures. 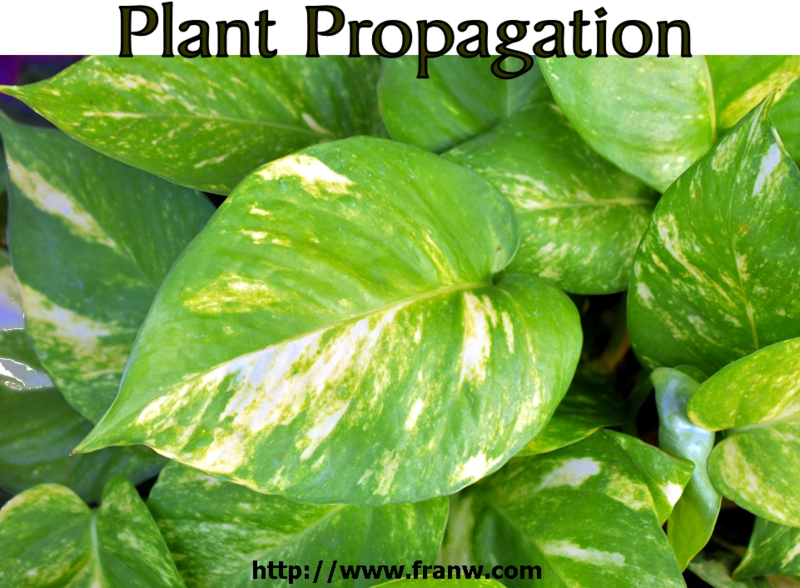 Wikipedia: Plant Propagation – Explains the process of plant propagation and methods. Save your seeds all year long then plan a seed swap! Tower Garden: 7 Ways to Celebrate National Seed Swap Day – The author talks about his experience at a Seed Swap Day, why they are important, and how to celebrate the day. Seed Savers.org: National Seed Swap Day 2017 – Info about the day and the benefits of going to one. Days of The Year: Seed Swap Day – Information about the origins of the day and how to celebrate it. The Herbal Academy: How To Plan A Seed Swap Day in Your Neighborhood – How to save seeds and plan the event. & How to Save Seeds: From Harvesting to Using Them – Tips for saving seeds. Extension Services: National Seed Swap Day, January 31st, 2015 – Information about the day and how seed swapping was done by other cultures. YouTube: Plant Propagation Playlist – The videos in this list show you how to propagate a variety of plants, including fruits, vegetables, flowers, and houseplants.